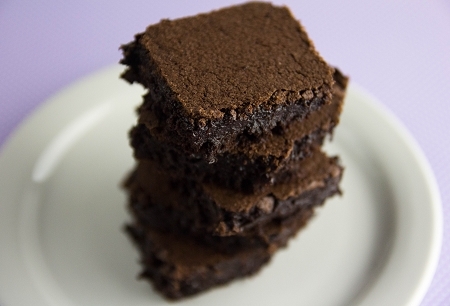 Our Gluten Free Fudge Brownie mix makes an amazingly moist and rich chocolate brownie. Not only easy-to-make, but sure to please! Cane Sugar, Gluten Free Flour Blend (White Rice Flour, Brown Rice Flour, Potato Starch, Tapioca Flour), Cocoa, Non-GMO Aluminum Free Baking Powder (Baking Soda, Sodium Acid Pyrophosphate, Corn Starch, Monocalcium Phosphate), Salt, Natural Vanilla.